What grade would you give your aviation SMS program? 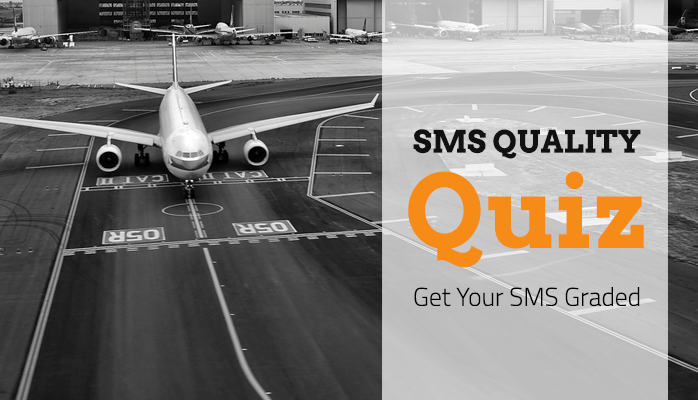 What is the quality of your aviation SMS program? Implementation status does not translate to operational SMS quality. Evaluating the performance potential of your safety program is a major step towards developing a best in class SMS program. For this reason we have created this quiz that targets 20 of the most important elements of a sustainable, performing SMS program. Warning: this quiz is not designed to pat you on the back with a high grade. It is an honest look at the quality of your SMS program.